If Thomas Jefferson were alive today, he might have his own cooking and gardening show on cable, or at least a blog. He was passionate about food and grew hundreds of varieties of fruits and vegetables in his gardens at Monticello. 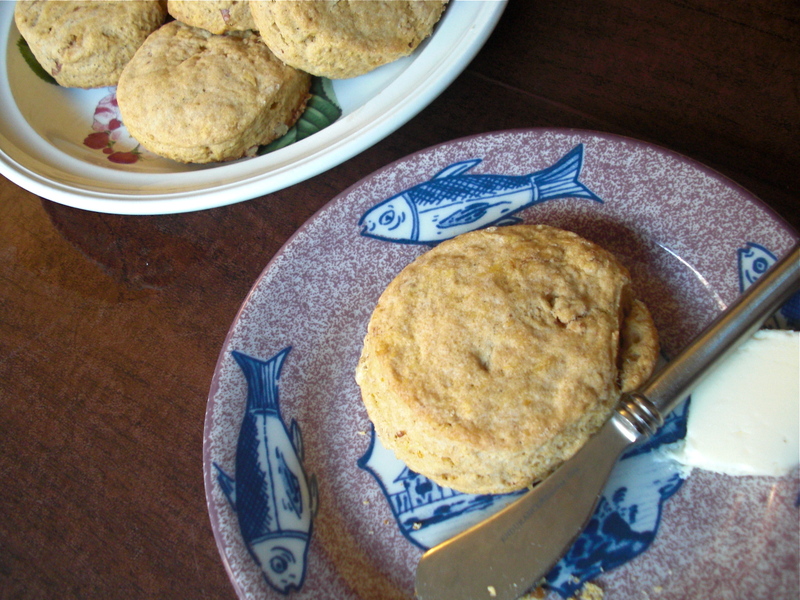 Jefferson also wrote many recipes himself, including one for sweet potato biscuits. 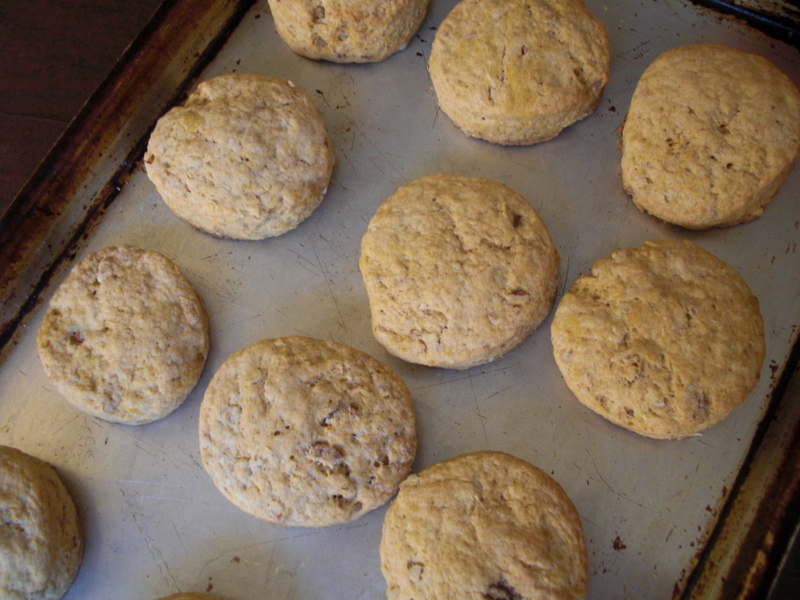 The Thomas Jefferson biscuit recipe floating around the web (see oneforthetable.com) is probably an adaptation of the original — it contains baking powder, which wasn’t available in the 18th century. (Colonial bakers sometimes used pearlash, made from wood ash, as a leavener.) I followed a similar adaptation by Walter Staib, chef-proprietor of Philadelphia’s beautifully restored City Tavern, where colonial recipes are served by waiters in period costume. These biscuits are very easy to make — you just need to adjust the baking time depending on how thickly you roll the dough. 2. In a large mixing bowl, mix together the flour, brown sugar, baking powder, cinnamon, salt, ginger, and allspice. 3. Cut the cold shortening into about eight pieces and blend into the flour mixture with two knives or a pastry cutter, until crumbly. 5. Turn the dough out onto a lightly floured surface, and roll to about 1 inch thick. Cut out rounds with a 2-inch floured biscuit cutter. Place biscuits 1 inch apart on ungreased baking sheets. 6. Bake for 25-30 minutes, until golden brown. Serve warm, with butter and/or honey. Makes about 2 dozen biscuits. This entry was posted in breads and tagged biscuits, City Tavern, pecans, sweet potatoes, Thomas Jefferson by revolutionarypie. Bookmark the permalink. I LOVE Thomas Jefferson and I’m partial to biscuits, so this post has me firmly in my happy place. Also: I’m positively psyched to find your blog, Karen! Hi Azita, the feeling is mutual — I am really looking forward to following yours!